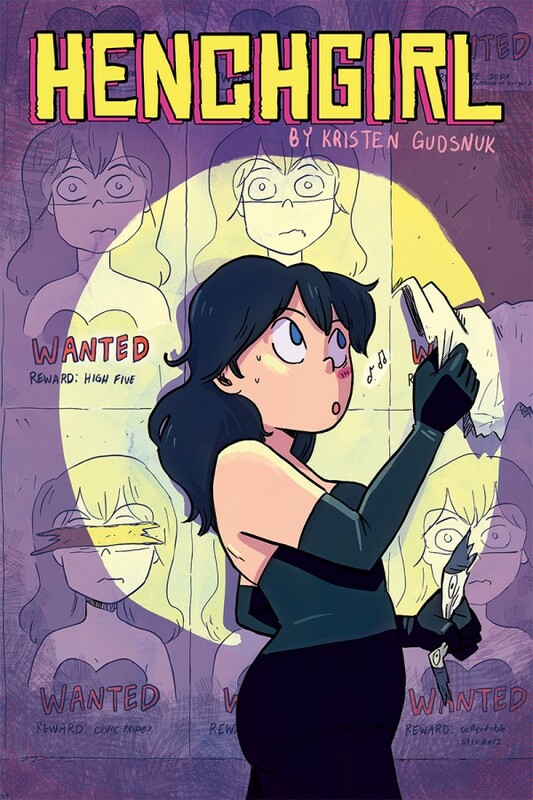 Friends, I finally sat down and read the trade collection of Henchgirl, Kristen Gudsnuk’s comic. I’ve known Kristen for a couple of years, and am so happy that this fantastic story was picked up by Dark Horse. Henchgirl is a comic that lives pretty accurately to its title; it’s a comic about a Henchgirl. Mary Posa is a henchgirl in the Butterfly gang and she isn’t a fan of her job, but dang the money is good. She gets into a very minute amount of trouble, until she helps leak a plan and saves some kids, making the gang hate her. Mary is injected with Evil Serum and she stops caring about other peoples’ feelings, so she just gets super evil. But soon she realizes that what she’s doing isn’t right, isn’t her, and she wants out. So she does everything she can to change things. Obviously, there is far more to it than that, but this truly is a book you should read. Gudsnuck is incredible; she did all the work on this book; writing, illustrating, and coloring, and it’s amazing. You can see the improvements she’s made, and small changes from when this was being published at Scout Comics, but the story is the same, and the feeling is the same. I love Henchgirl. I loved hearing about it when Kristen first introduced me to her story, I loved reading the comics for the first time, and I absolutely adored reading through this published collection. 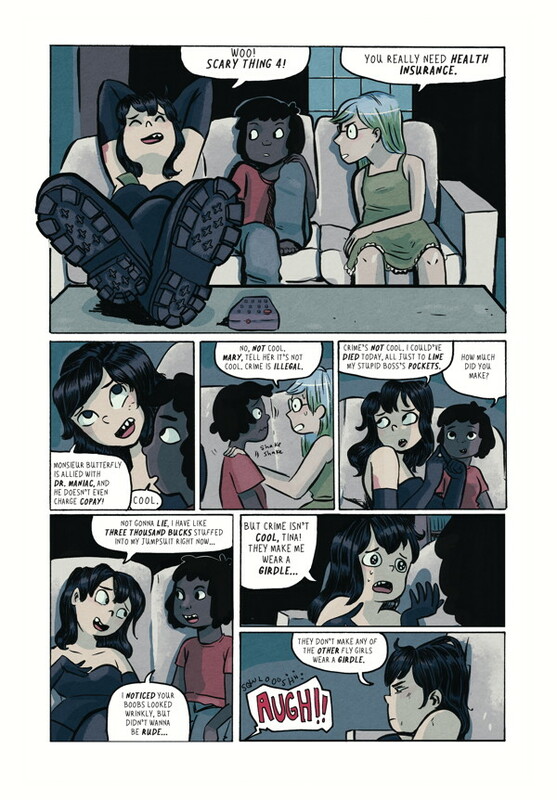 Henchgirl is a fantastic comic that has a little bit of everything; it’s perfect for all readers. Grab yourself a copy of Henchgirl here or at your local comic shop, you’ll be happy that you did.